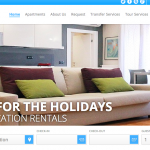 As many of you know, Kigo creates website templates to help vacation rental managers increase their bookings. 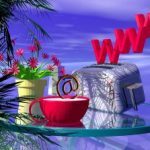 The best part of opting with a template website is that you can have it up-and-launched in no time. Even though there is a consistent format associated with templates, you can customize and brand them with your own logo, pictures, and colour scheme. 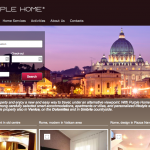 A great example of this is what our customer Baires Lodge has done with their Vacation Rentals in Buenos Aires website. 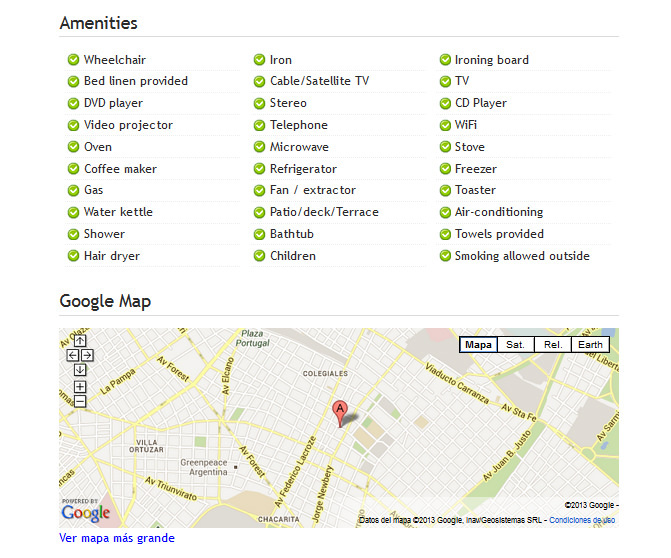 Baires Lodge offers a grand selection of 150 temporary apartments to choose from in Buenos Aires. Regardless of your taste in neighbourhood types, you are bound to find the right apartment for your visit. Best of all, if you are not familiar with this bustling city, Baires Lodge offers you an abundance of information to familiarise yourself before selecting a property. As Baires Lodge quotes, Buenos Aires is a city that houses unique streets, fantastic architecture and a passion for food. The theme of the city is perfectly illustrated in the theme of Baires Lodge’s website. From a fun home-page image of the city, to a bustling colour scheme you get a lively feeling when navigating around the website. Baires Lodge’s homepage appeals to a wide range of visitors whether they are looking for a hidden gem, a design focused apartment or an architectural wonder. If the home-page properties are not the right suit, a visitor can go through neighbourhoods or search the full portfolio with easy-to-use navigation. Individual property pages showcase a wide range of high-quality images to give a full view of the apartment, as well as an extensive list of amenities and a map of the apartment’s location. Baires lodge has done a great job of making it easy to understand whether a property is available for a guest with specific dates in mind. 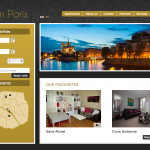 Guests can performan availability search straight from the home-page to see which of the 150 properties are available to rent. 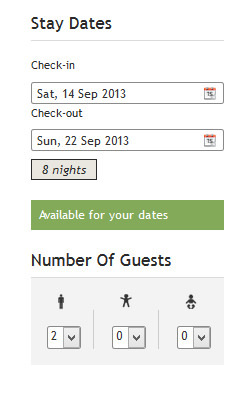 As an alternative, guests can also go through the full property list and view an individual property's availability calendar either through the monthly calendar at the bottom of the page or by entering their dates and the number of guests that will be arriving at the side-bar of the property page. Best of all, once a guest selects the property they wish to rent, a full inquiry confirmation is displayed, with pricing, the dates they are requesting and an option to list their 1st 2nd or 3rd choice apartments, to make sure the confirmation process is as smooth as possible. You can tell the young professionals that are behind Baires Lodge want to make sure they provide as much information as possible for their future guests. The Where To Stay page has an abundance of information about each neighbourhood, complete with representative images. Their extensive FAQ page also makes potential guests feel at ease with the booking process and covers everything that might be of relevance before, during or after their stay. The multi-lingual aspect of the website also makes it a breeze for Spanish and English speakers to understand and book properties. Whether you are going to the capital of Argentina for a leisure or for a short business trip, we highly recommend you visit our good friends Baires Lodge when you are looking for Holiday Apartments in Buenos Aires. 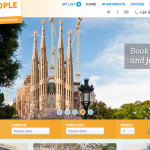 Previous Article: Listing Sites vs. Booking Sites: Which One Is The Right Fit for You?